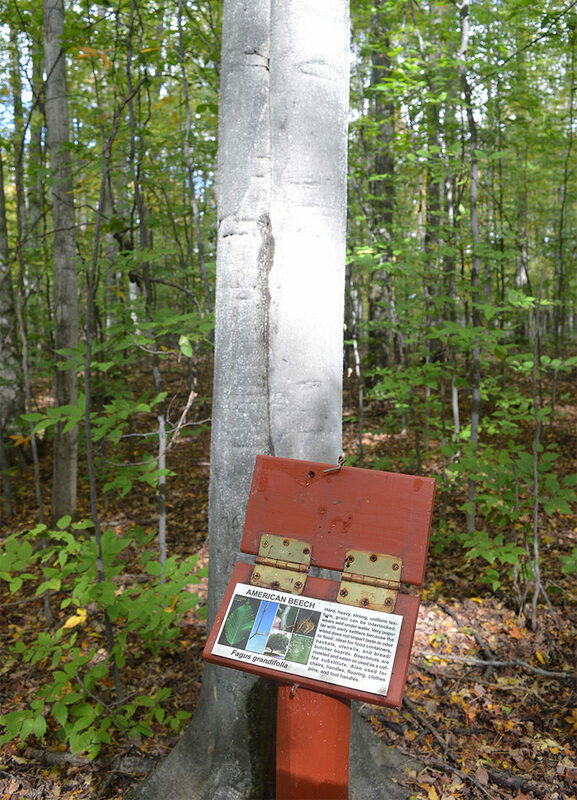 The Louis M. Groen Nature Preserve, an Otsego County Park in Johannesburg, contains two lakes, 20 miles of trail and a lot of history, including ties to McDonald’s Filet-O-Fish sandwich. The preserve is crisscrossed with trails, many of them old two-tracks that are marked with 86 numbered junctions. The trail system is shared by day hikers, mountain bikers and equestrians. In the winter it’s a destination for snowshoers and cross country skiers. 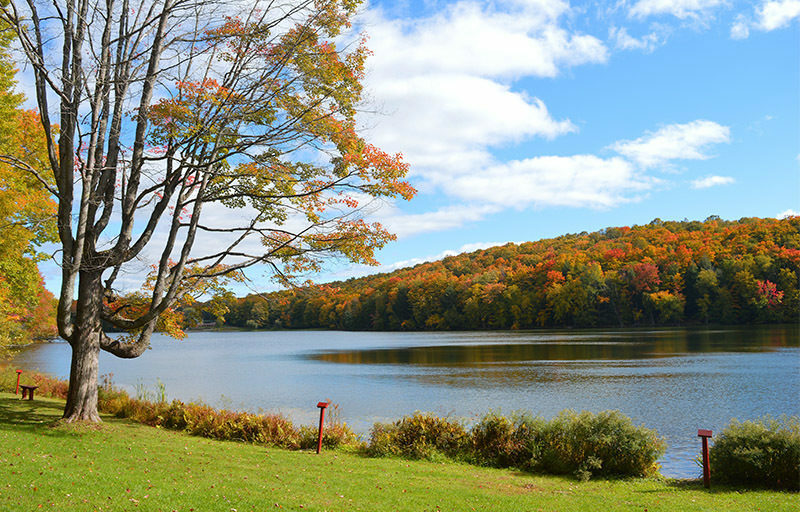 The Louis M. Groen Nature Preserve, an Otsego County Park in Johannesburg, contains two lakes, 20 miles of trail and a lot of history. The story of the 789-acre preserve spans from the sawmill and company town that the Johannesburg Manufacturing Company built in 1902 to the Echo Valley Resort that briefly operated in the 1950s. But by far the most interesting chapter of the park’s history is its ties to McDonald’s Filet-O-Fish sandwich. Louis Groen opened the first McDonald's in the Cincinnati area but in 1962 was struggling to save his floundering hamburger franchise. His problem was a heavily Roman Catholic clientele which back then abstained from meat every Friday, as well as during Lent, the 40-day period of repentance. Groen’s solution was the Filet-O-Fish and that led to a wager with McDonald's founder, Ray Kroc, who had his own meatless idea; the Hula Burger, a cold bun with a slice of pineapple and cheese on top. Needless to say, the Hula Burger is long gone but the Filet-O-Fish is still around and not only saved Groen’s business but allowed him to open 42 more McDonald franchises in Ohio, Kentucky and Indiana. It also allowed him to purchase the property surrounding Johannesburg and Kujawa Lakes after selling most of his restaurants in 1986. 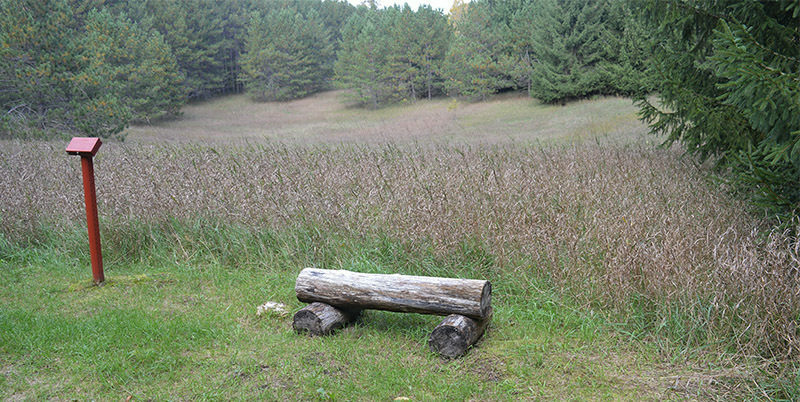 Groen and his wife enjoyed the property for 22 years and then left the tract to Otsego County to be used as a nature preserve when he passed away in 2011 at the age of 93. 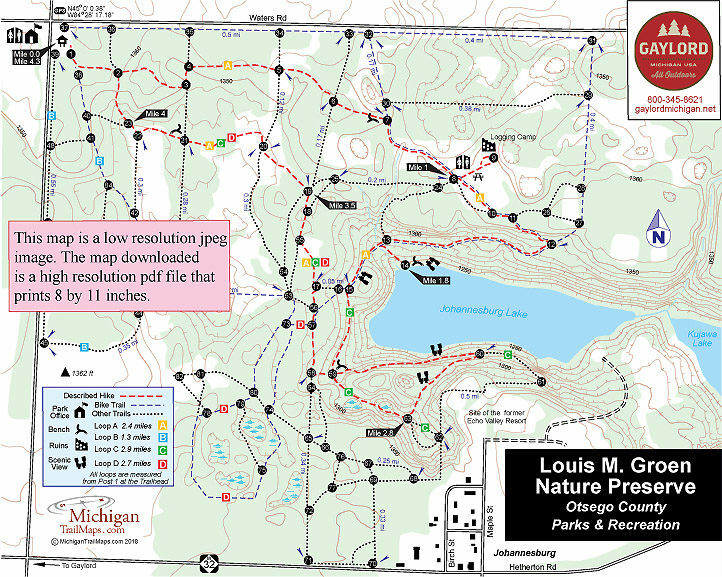 The Louis M. Groen Nature Preserve opened to the public the following year. The preserve is crisscrossed with trails, many of them old two-tracks that are marked with 86 numbered junctions. A map in this park is a necessity. The trail system is shared by day hikers, mountain bikers and equestrians. In the winter it’s a destination for snowshoers and cross country skiers. At an elevation of almost 1,400 feet the park receives an abundance of snow and grooms it into a pair of 3-mile loops, one for classic skiers, the other for skate skiers. Snowshoe rentals are also available at the preserve. Despite the maze of trails, the system at Louis M. Groen Nature Preserve is well marked and easy to follow. Four loops ­– Path A (Yellow), Path B (Blue) Path C (Green) and Path D (Red) – are marked and begin at the trailhead with Path A featuring a series of interpretive signage. The hike that is described here is a combination of Path A and Path C that forms a 4.3-mile loop into the most scenic and interesting areas of the park. Most of this hike is along Path A which is the loop marked in yellow and lined with a series of interpretive plaques. From the trailhead on Gingell Road you follow an old two track past the vault toilet to quickly pass post No. 1 and then Post No. 2. Five more junctions are passed and before you breakout into a large field and post No. 8 reached at Mile 1. 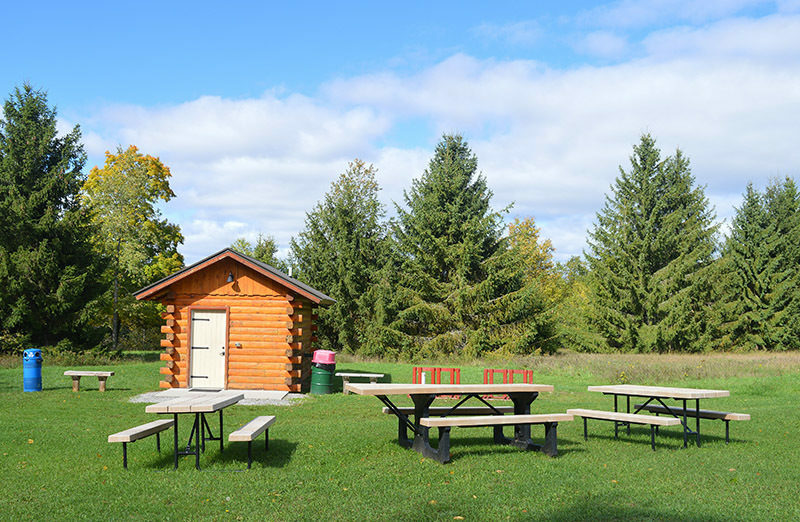 A modern restroom is located here along with picnic tables and a replica of a Big Wheel used to transport logs in the early 1900s. A side trail near the restrooms leads to farming and logging remains. The Johannesburg Manufacturing Company established Johannesburg in 1902 as a sawmill and company town and was responsible for the camp. The Johannesburg company closed a month before the Stock Market Crash of 1929 and by then its mill had cut more than 300 million board feet of lumber and at one point supported 200 employees and their families. Path A cuts across the field and at post No. 10 re-enters the woods and begins a long descent towards Johannesburg Lake. The steady descent lasts a half mile but provides views of the lake through the trees. You bottom out just past post No. 13 where Lakeview Trail is posted. This short spur leads to the shoreline, a pleasant spot reached at Mile 1.8 into the hike where there is a pair of benches and a view of the entire lake. Path A climbs back up the lakeshore bluff to post No. 15, a junction where you head south (left) to continue on Path C marked by green blazes. Path C continues to skirt the bluff above Johannesburg Lake providing views of the water. At post No. 59, a major intersection with a bench, you head east (left) to continue following the shoreline before departing Path C at post No. 60 for a side trail up the bluff. The higher elevation provides even better views of Johannesburg Lake before reaching post No. 63 at Mile 2.8. You return to following Path C as it passes a pair of scenic marshes embedded in the rugged terrain before reaching post No. 59 a second time. Nearby at post No. 58 you continue north along a two-track. This area is an infusion of trails and two-tracks but well marked so it’s easy to find the path needed. You continue north and at post No. 17 return to the yellow blazes marking Path A. Post No. 19 reached at Mile 3.5 is another major junction where you head northwest to stay on Path A and quickly break out in an open field. In the middle of it is post No. 20. You break out in another large field to reach post No. 22 and No. 23 at Mile 4. Here you head north to return to the trailhead parking area within a third of a mile. 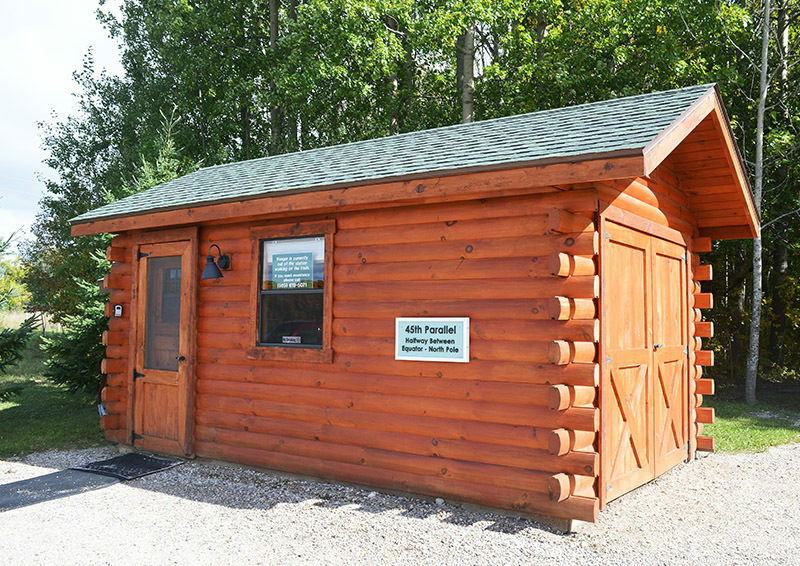 At the Gingell Road trailhead is parking, vault toilet and a park office. A restroom and picnic area is located at the Logging Camp dayuse area. The Louis M. Groen Nature Preserve is open Memorial Day to Labor Day Monday thru Friday 2-8 p.m., Saturday 10 a.m. to 8 p.m. and Sunday 10 a.m. to 6 p.m. The rest of the year the park is open Monday from noon to 6 p.m., Thursday through Sunday from 11 a.m. to 6 p.m. There are no entry or vehicle fees at the preserve. From M-32, 12 miles east of Gaylord or just before you enter Johannesburg, turn north on Gingell Road. The park entrance is almost a mile from M-32 near the corner of Gingell Road and Waters Road. For more information, call the park office (989-705-2181) or check the Otsego County Parks & Recreation website. For travel information contact the Gaylord Area Tourism Bureau (800-345-8621; www.gaylordmichigan.net).